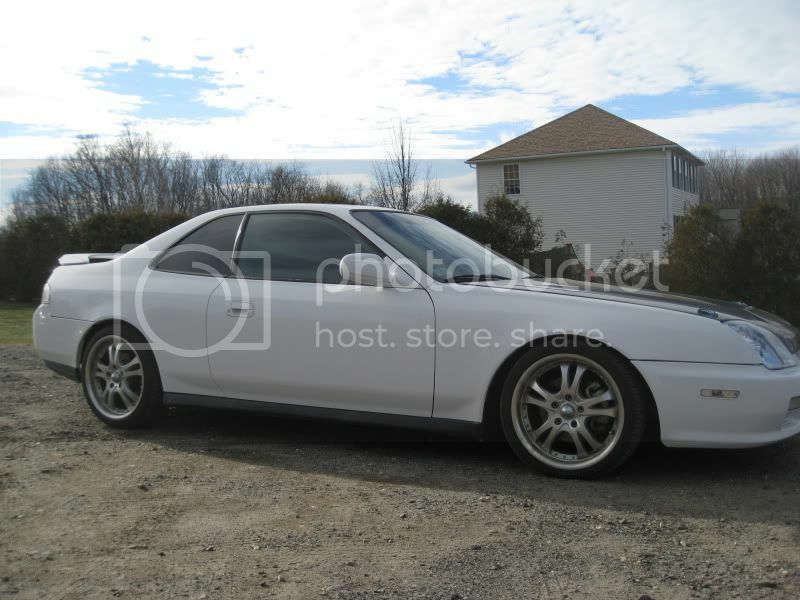 Just picked up this Lude. Not a huge fan of the tail lights, somebody should trade me for some with black altezzas or oems. DC upper and lower sway bars. Skunk 2 weighted Shift Knob. Last edited by tuzzio; 01-18-2011 at 02:43 AM. Re: Just picked up this Lude. the wheels are going to get painted black or traded. I really want some tenzo dc-6's. I also want stock tail lights, I don't like those ones at all. is the hidden kill switch by any chance under that piece of what appears to be masking tape??? 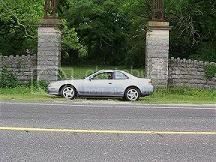 im just messin with ya, you definitely have a nice lude there. The killswitch is tucked away nicely and completely out of sight. The previous owner has a 4th gen that got stolen and after that he wasn't about to get this one stolen. I also have a entire folder of receipts, and a Prelude book you can only get if you work at a dealership he gave me. Looks like you got the car with some goodies, but it needs some cleaning up IMO. Wheels, headlights, grill, and taillights. Other then that looks pretty good man. Nice Prelude. Do what you like with the car, don't worry about what anyone else thinks. Won't be spending as much as I would've...but in the future will be a different pair of wheels, a short shift kit, and some serious car audio. Its filthy, it'll get a nice wash and wax come spring when it goes on the road, along with some serious engine bay degreasing/cleaning. I'm not worried about what other people think, after all it is MY car. 2 10" subs, or 1 12" type E from my car now if I can't find a box that'll fit. Using the 750 watt 2ch Pioneer amp from my car now. Component speakers all the way around, running to a seperate amp. 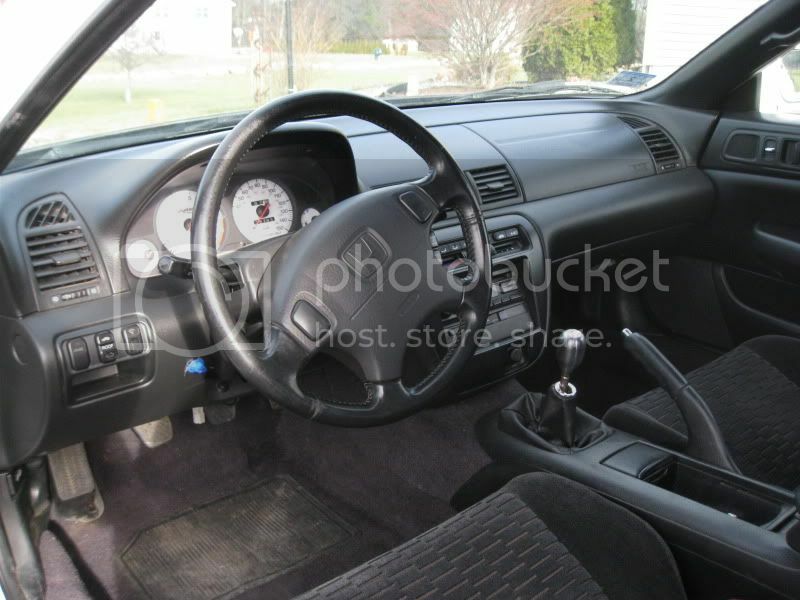 I want it to be loud and clear...sound deadening will come after. I need to get another job before all this happens, I'd love to have it done and in before it goes on the road in spring. Last edited by tuzzio; 12-22-2010 at 02:10 AM. 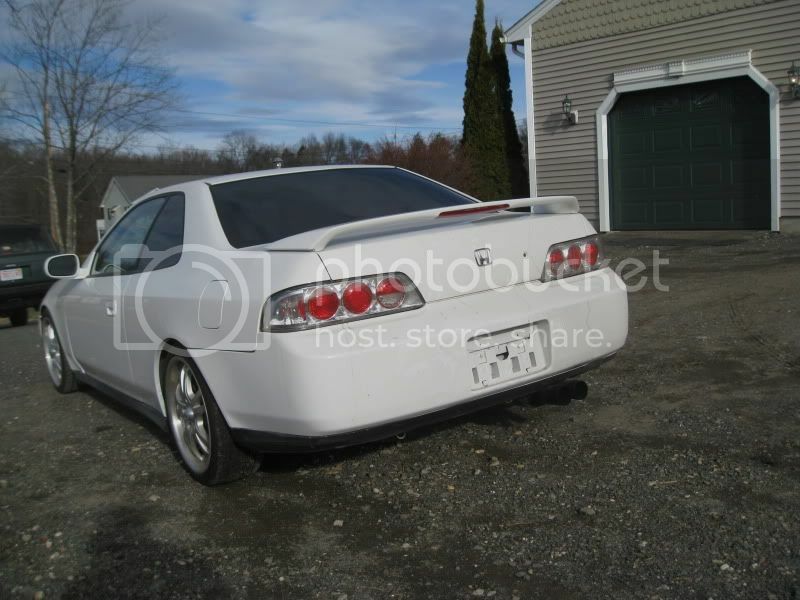 To that last part.... You've got a nice lude, with the exception of the taillights. Im not a big fan of the rims, but hey its your choice. Its good that you got all that stuff already going for you. 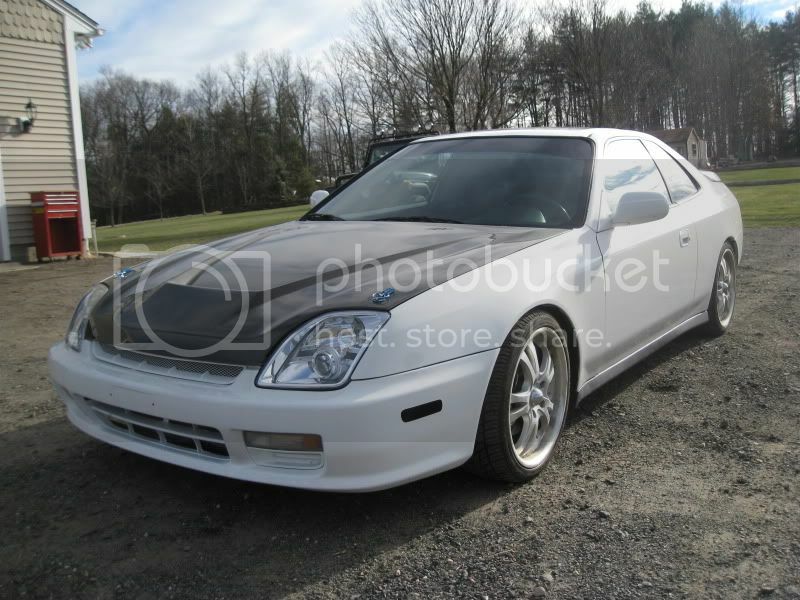 I have a white prelude as well, and its completely filthy right now...but its the same here in the south. Its been pretty cold...plus the fact I haven't had time. So yea Im right there with ya. Concerning headunits, I definitely recommend the Sony Xplod Headunit....the one with bluetooth capabilities. If your phone and/or ipod/mp3 player has audio...its pretty sic to hook up the audio via BT. 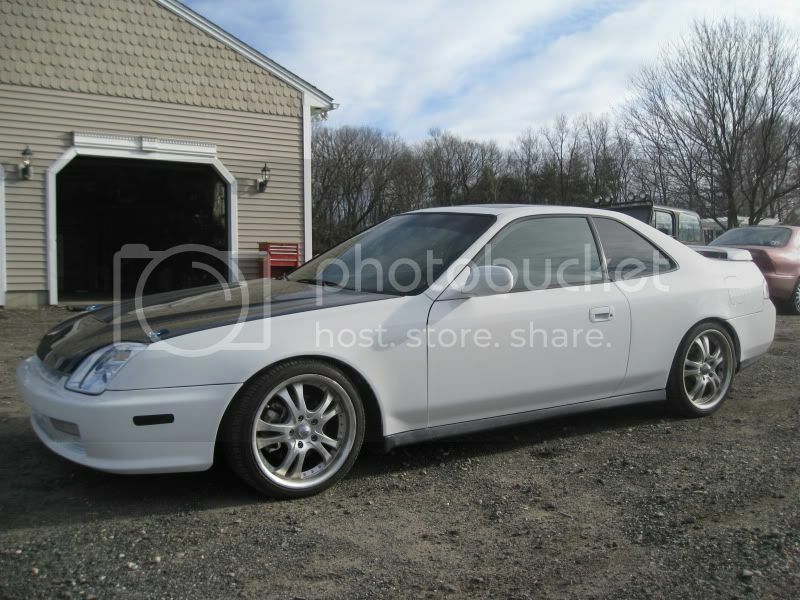 Anyway...Good luck with anything and everything you decide to with her, and Glad you're a part of the Prelude family. Nice ride. It looks like it was taken care of pretty well. The only thing I would change is the taillights back to stock. I did see someone recommend sony xplod decks. Not to bash on him/her but in my personal experience they are cheap, sound bad and don't last long. I have had the best luck with alpine, kenwood, and pioneer, and in that order. I don't think sony has made a good deck since the old mobile es line. As far as Sony Xplod headunits go, you won't ever see one in my car. They're cheap and unreliable. When it comes to car audio in a car I plan to keep for a long time, its worth spending the money. Almost EXACTLY what I was going to say, except Pioneer/Alpine, then kenwood. I still love my Pioneer D3 in dash nav with the ipod and BT. It's survived 4 un installs/reinstalls, and 3 wrecks. lol AND it was a demo unit!! The one I got ain't cheap...and I haven't had any problems with it. Now the other one I had in my civic? Yea it was a piece of trash. But this one seems to be a better. And oh yea....it sounds great...with stock speakers. I'll get back to y'all on how it sounds when I put the Kenwood door speakers in. Not to bash y'alls fine judge of headunits or anything, but I really like it. I haven't had the best luck with Sony stuff either(ex-headphones), but this thing has surprised me. yea....I think so too. I do agree that Sony is not the best for reliability. They are either a hit or a miss...and a lot of the time, its a miss. But I think(and really hope) that this one is a hit...knock on wood I haven't had any problems with it. I like the blue and white lights on it so much that I think Im going to do a LED Cluster light conversion this summer. Anybody wanna buy the altezza/euro tails? Will trade for corner markers! Also, Wheels say American Racing, can anybody identify which ones they are? I couldn't find them. I can't stand watching this car sit in my garage all winter and than go out and get into my geo prizm. Spring can't come quick enough. the car has been repainted? Yeah, its got fresh paint. I know who owned it previous, he got fresh paint just to make it look fresh. From what I gather, unless I spend plenty of money, headers won't do much in terms of HP gain, and that money can be better spent in other areas. Its already got an exhaust. Also, if you read the post above, I put the OEM tail lights in last night. Ordered 4 white Tenzo DC6 17x7 wheels. Should be in next week. After tires are mounted and balanced and wheels are on car, as well as matching corner markers there will be updated pictures. Also, I identifyed the wheels as 17x7.5 American Racing Casino wheels. Sounds good dude!! Keep the updates and Pics comin! Last edited by EvilBird; 01-05-2011 at 05:53 PM.